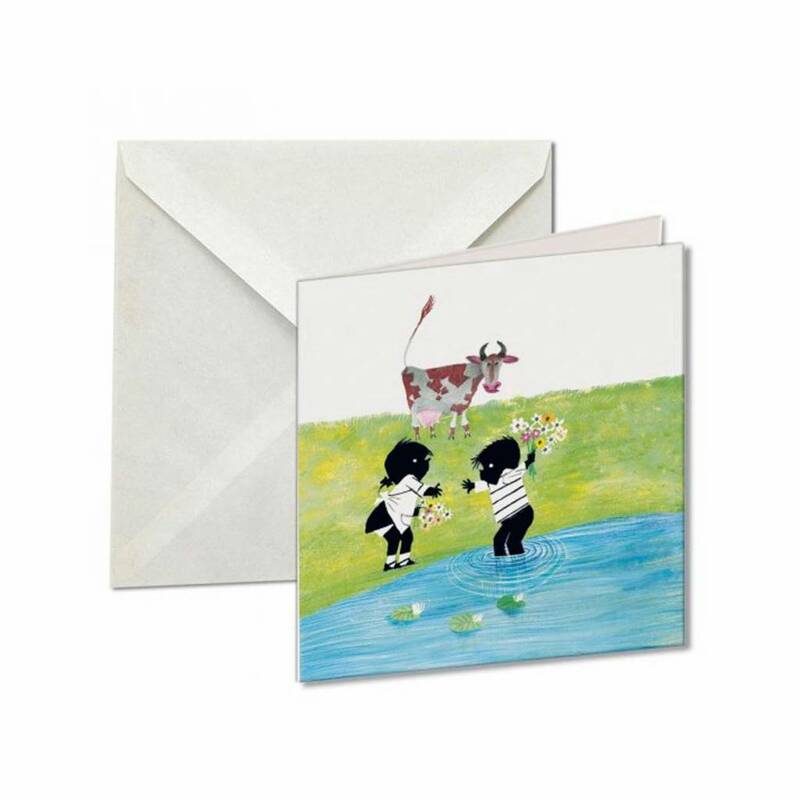 This rectangular card wallet is made by Bekking & Blitz. 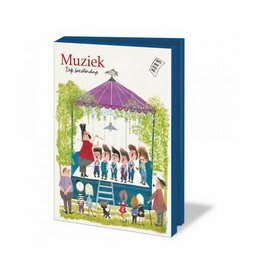 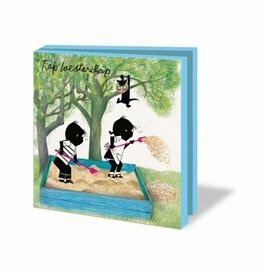 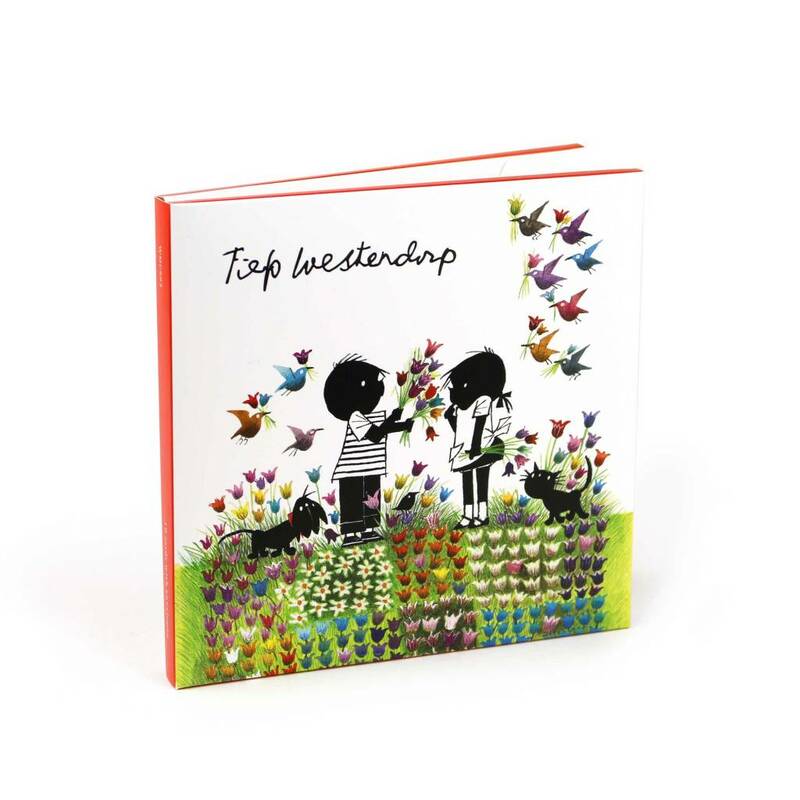 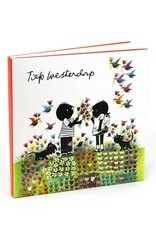 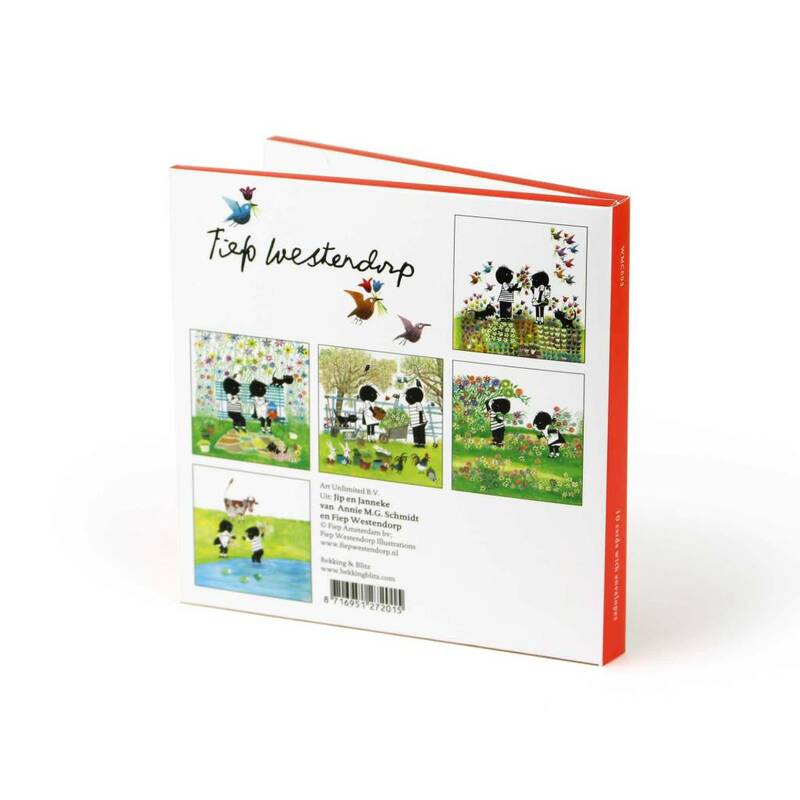 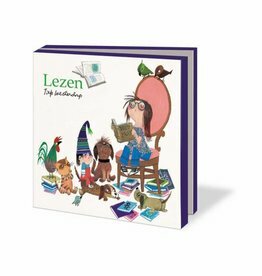 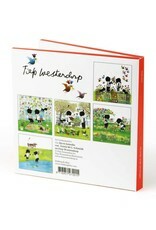 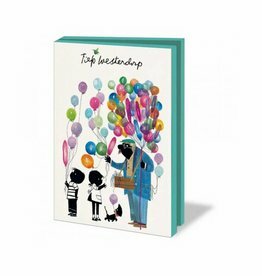 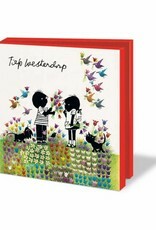 It contains 10 'double' (folded) cards with illustrations of Jip & Janneke by Fiep Westendorp. 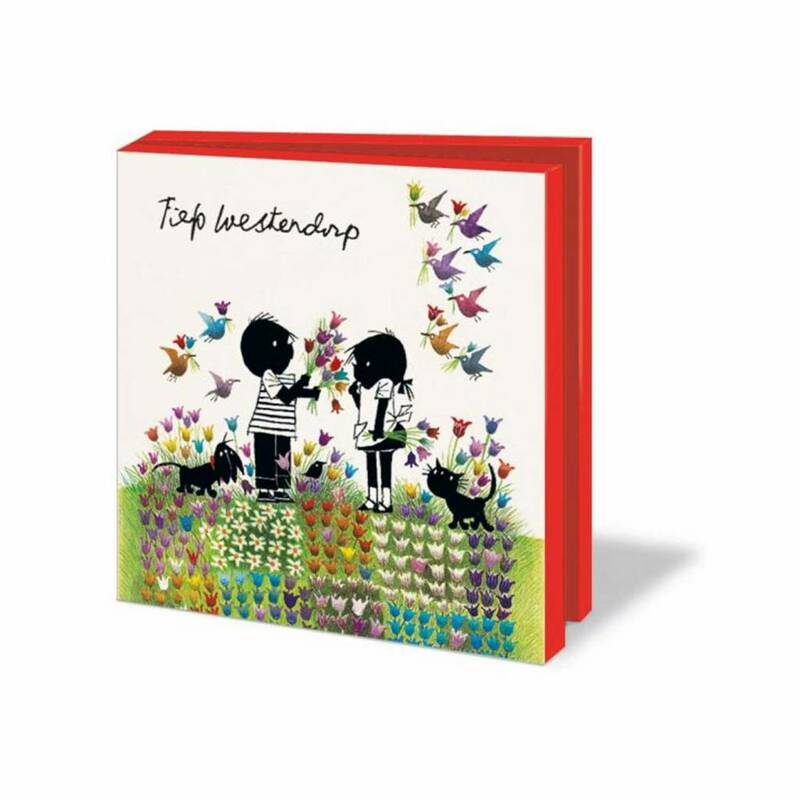 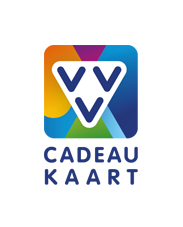 The theme: 'Nature'. 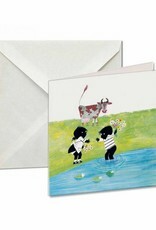 With these cards the envelopes are included.